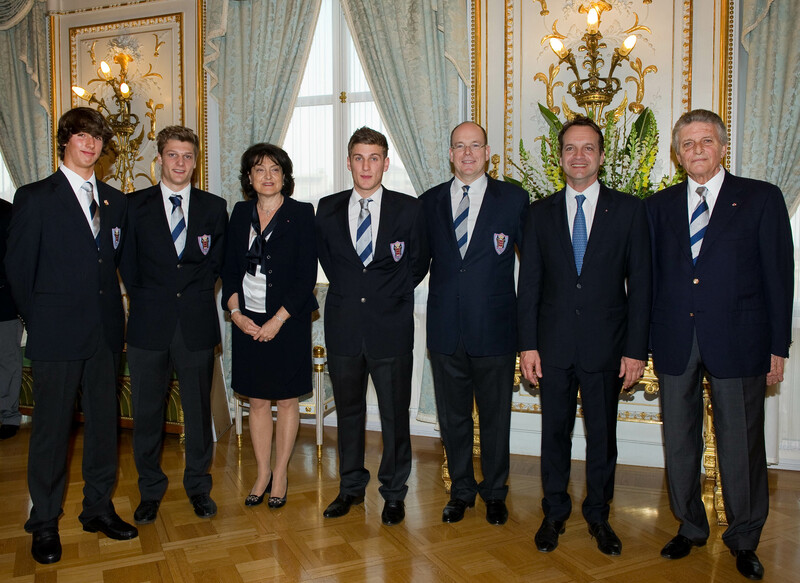 A reception was held at the Palace of Monaco to honour the three Monegasque athletes, Bryan Pelassy (alpine skiing), Rudy Rinaldi and Jérémy Torre (bobsleigh), who participated in the first Winter Youth Olympic Games held in Innsbruck, Austria. After congratulating them, the Sovereign handed out Monegasque Olympic Committee certificates to the three competitors and the Delegation members for their participation in these first Olympics and the Monegasque Olympic Committee bronze medal to the two bobbers who came in third in their discipline. Georges Marsan, Mayor of Monaco, then awarded the medal of the City to these three sportsmen.